Pasadena City Councilmember Steve Madison invites you to a Forum on Alternatives to the 710 Tunnel. Everyone is invited, you do not have to live in Pasadena. 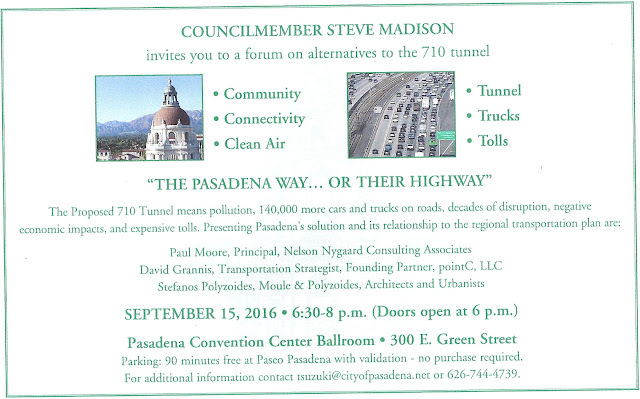 We hope that you will attend this important forum on alternatives to the 710 tunnel. The forum will address the preferred Pasadena plans and demonstrate how they fit into regional transportation plans. We think this is an important beginning for providing information to the public about a better way to move people and fix traffic.